A number of Haratin activists of the Initiative pour la résurgence du mouvement abolitionniste (IRA Mauritania) were convicted yesterday [18 August 2016] after a bogus trial, during which the defendants weren’t allowed to argue their case. During the preliminary detention that followed their sudden arrest, the imprisoned activists faced ill-treatment and torture, in addition to a number of procedural irregularities. These prison sentences, which range from 3 to 15 years of detention, come as a “devastating blow” for the IRA and the Mauritanian anti-slavery movement in general, as argued by a spokesman for Anti-Slavery International. The arrest of almost the entirety of the organisation’s leadership in the country came only a few weeks after the release of its President, Biram Dah Abeid and Vice-President, Brahim Bilal Ramdhane, who were also imprisoned with bogus accusations in 2014 and detained for approximately 20 months. The press release below was published by Anti-Slavery International. Attached is also a press release by IRA Mauritanie en Belgique. 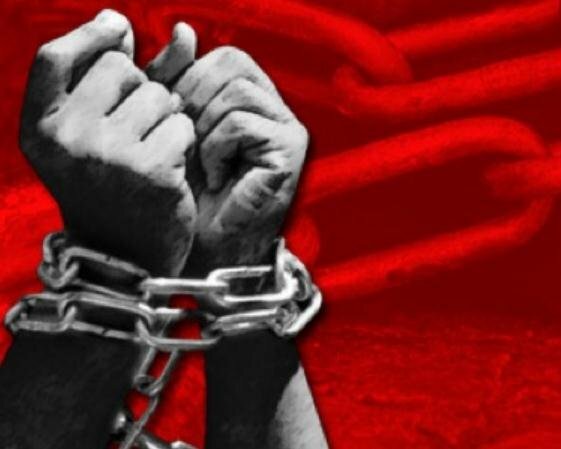 Anti-Slavery International said today that imprisoning anti-slavery activists is a ‘devastating blow’ for the Mauritanian human rights movement, and exposes the Government’s pledges to address slavery as a farce. Thirteen leading anti-slavery activists from the Initiative for the Resurgence of the Abolitionist Movement (IRA) were sentenced to 10-15 years in prison yesterday. They were charged after a protest in late June in an impoverished neighbourhood against the forced relocation of the community in preparation for the Arab League Summit. However, none of the thirteen activists, nor IRA, had organised the protest or taken part in it. Sarah Mathewson, Africa Programme Manager at Anti-Slavery International, said: “The sentences are a devastating blow to the Mauritanian anti-slavery movement. The activists are clearly being targeted by the Government for their work to expose and denounce slavery, still commonplace in the country. “The charges are highly politically motivated and expose the Government’s pledges to address slavery as a farce. It is outrageous that anti-slavery activists are targeted and prosecuted for their work, while slave-owners perpetrate crimes with impunity. Mauritania is one of the last countries where people are still born into slavery and literally owned by their masters, facing a lifetime of abuse and forced labour. They can be bought and sold, given as gifts and are at complete mercy of their masters. Women are commonly raped and forced to bear their masters’ children, who in turn also become slaves. Haratine people – a group known to be the descendants of slaves – even if no longer in slavery, face widespread discrimination. Mauritania has long been under national and international pressure to enforce the law, but most anti-slavery initiatives so far have proved to be empty promises. Although last year’s new anti-slavery law offered some hope, the Government continues to target anti-slavery activists and even refuses to acknowledge the existence of slavery in the country. To date Anti-Slavery International and its national partners achieved the only two prosecutions for slavery in the country’s history, but the slave-owners received very lenient sentences. At least 30 other cases have remained pending for years in courts or prosecutors’ offices.